Summary: In January, the Radio Free Song Club premiered a new Freakwater demo, "Mockingbird", recorded a month earlier. In May, Louisville Lip Records released Rise: A Louisville Lip Records Ttribute to Kinghorse. Catherine appears on it, covering the song "Razor". In July, Freakwater play the Wavelength Music Festival in Three Oaks, MI. Also in July, Catherine and Janet were invited by WBEZ's Tony Sarabia to chat and to spin some of their favorite country tunes for his "Radio M" program's annual Fourth of July Country Twang show. Janet and Catherine continue playing apart from one another through the year. 2010.05.14 Louisville Lip Records releases Rise, a collection of covers of songs by the band Kinghorse. Catherine contributes her take on "Razor". 2010.07.20 Daniel Woodrell publishes the acclaimed novel, Winter's Bone. In an interview he cites Freakwater as having had a significant influence on him. 2010.07.14 Catherine and Janet were invited by WBEZ's Tony Sarabia to chat and to spin some of their favorite country tunes for his "Radio M" program's annual Fourth of July Country Twang show. Not one Carter family song in the lot! 2010.07.30 Freakwater play the Wavelength Music Festival in Three Oaks, Michigan. 2010.11.12 Catherine Irwin plays the Beachland, in Cleveland, Ohio. This clip is a cover of "The Whole of the Law" by her friend Brett Eugene Ralph. 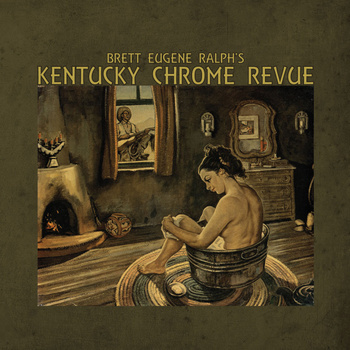 He fronts the band Brett Eugene Ralph's Kentucky Chrome Revue, of which Catherine is a part. 2010.11.13 Catherine Irwin plays the Harry Smith Festival, held at the Elk Creek Cafe in Millheim, Pennsylvania. 2010.11.15 Catherine plays The Wildfire Lounge in Ithaca, New York.